Patterson Park is one of the oldest parks in Baltimore, spanning 300 years of the city’s history. 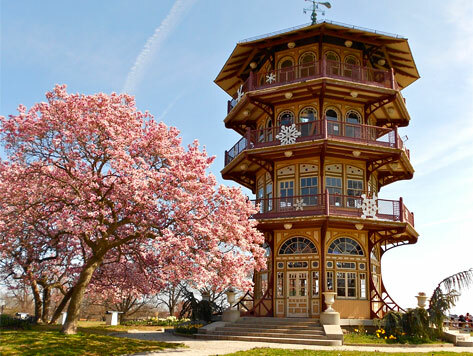 The park is known for its smooth pathways suitable for biking and jogging, and features notable attractions such as a boat lake, marble fountain, the General Casimir Pulaski Monument, and Patterson Park Pagoda. Patterson Park also offers sports fields, public tennis courts, two playgrounds, a swimming pool during the summer, and ice skating rink during the winter.